The veteran leader, who swept to power in a 1989 coup, was one of Africa's longest serving presidents. Sudan’s military arrested President Omar al-Bashir, ousting him from power in the wake of escalating protests against his 30-year rule, the defense minister announced Thursday. He said the military will rule the country for the next two years with an emergency clampdown. 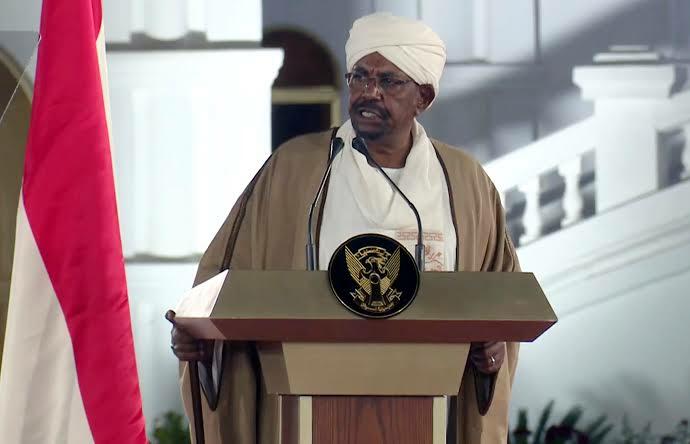 A transitional military council would replace Bashir for two years, he said, adding that the country's borders and airspace would be shut until further notice. The veteran leader, who swept to power in a 1989 coup, was one of Africa's longest serving presidents. He is wanted on charges of genocide and war crimes by the International Criminal Court. Since early morning, huge crowds of jubilant Sudanese had begun thronging squares across the centre of Khartoum on Thursday as the army promised an "important announcement". Chanting "the regime has fallen," thousands poured into the open ground outside army headquarters where defiant protesters have braved tear gas to keep up an unprecedented sit-in now in its sixth day. The protests, which erupted in December over the government's tripling of the price of bread, were the biggest challenge yet to Bashir's long rule. The security agency also announced it was freeing all political prisoners. Army vehicles carrying troops were seen deploying across the centre of Khartoum from early Thursday. Troops raided the offices of the Islamic Movement, the ideological wing of Bashir's ruling National Congress Party, witnesses told AFP. And martial music was played on state television as soldiers ordered the TV to halt its normal programming. Sudan's feared intelligence service said it was freeing all the country's political prisoners, state media reported. "The National Intelligence and Security Service has announced it is releasing all political detainees across the country," the official SUNA news agency said. "But NISS officers fired in the air after which protesters stormed the building and looted all the equipment inside," he said. Protesters chanting slogans against Bashir also stormed an NISS building in Port Sudan, a witness said. "We are calling on our people to control themselves and not to attack anybody or government and private properties," the Alliance for Freedom and Change (AFC), the umbrella group that is spearheading the protest movement, said in a statement. "Anyone found doing this will be punished by law. Our revolution is peaceful, peaceful, peaceful." "We had enough of this regime - 30 years of repression, corruption, rights abuses, it's enough," said one protester at the sit-in. Demonstrators have spent five nights defiantly camped outside the sprawling headquarters complex, which also houses Bashir's official residence and the defence ministry. "I hope our revolution will achieve its goal," said Alaa Salah, dubbed the protest movement's "Nubian queen", after a video clip went viral of her conducting chants with demonstrators outside army headquarters. "The Sudanese authorities must now respond and deliver a credible plan for this political transition," the countries' Khartoum embassies said in a statement.